How many times have you heard the line “E-commerce is the future of Retail”? How many physical retailers have you seen closing over the past couple of years? It is true though that e-commerce has disrupted the retail scene. But some players continue to exist because they found the sweet spot between having physical and virtual stores, having the two work hand-in-hand. With e-commerce slowly but steadily becoming the preferred shopping method, retail brands should learn to adapt. Otherwise, they will also fall into demise sooner or later. There are lessons from these physical or brick-and-mortar stores that e-commerce businesses should learn from. If you have a store, it’s very tempting to sell products from all categories you can think of. You would want to sell as much as you can, in hopes of being able to sell to everyone. However, this might not lead to the desired results. By not controlling your product range, you will most likely spend a lot buying an extensive collection of various product categories. A lot of these will not sell, and you will end up wasting a lot of capital. A better strategy is to be known for a handful of quality product lines. Be known for a specific niche. Also, don’t overdo your inventory. Stock up on those that really sell to be more cost-effective. 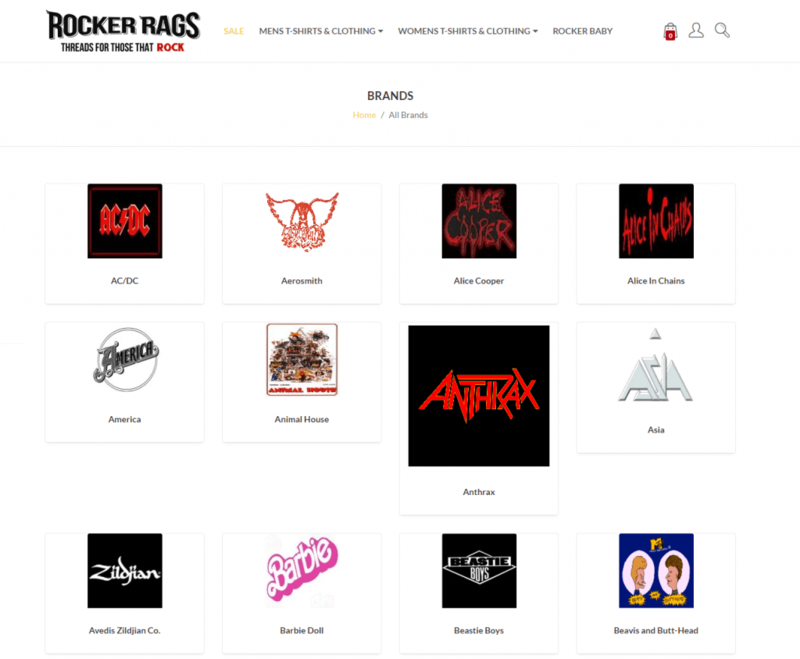 Rocker Rags has managed to offer a lot of product categories in a specific niche. To help you find, evaluate and validate product ideas for your online store, check out How to Find a Product to Sell Online from Shopify. One of the major disadvantages of online stores versus brick-and-mortar stores is that customers are unable to see the items personally and try them before buying. This is a challenge for e-commerce that physical stores never really thought about because they were able to address it without trying. Successful e-commerce businesses have adapted several options to help provide more feel of their products, albeit virtually. You should make use of high-quality product photos taken from various angles, showing different views of each item. You can also give a better perspective of products by showing product videos. Try to put your products in action as much as possible. Whether for photos, or for videos, don’t always just settle for photos of the product itself, but how it is used. 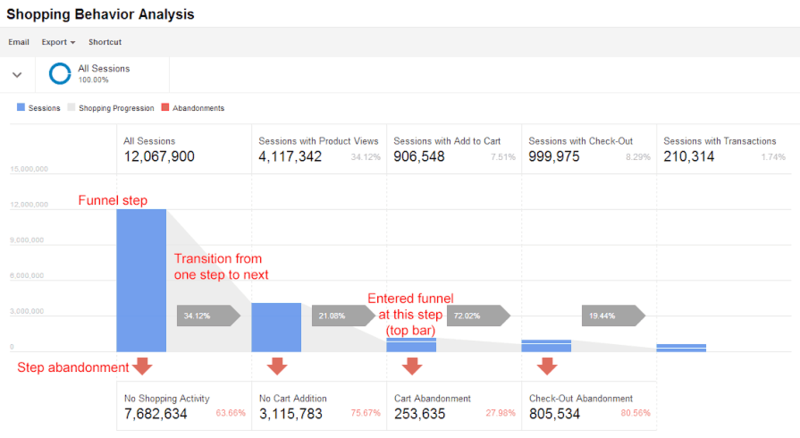 This will give buyers a better perspective of how a product really looks like, and how it appears in use. A good example of this is ASOS; they provide Catwalk video feature in their products. One of the mistakes of physical stores is offering promotions, but not being clear about it. Some signs may say that there would be discounts of up to 70% on selected items, but the customers are not made aware of what these items are and what the exact discount is. With this in mind, the e-commerce business should then adopt clearer promotional strategies. Show upfront how much discount will be applied to a certain product. Don’t be vague. Doing so gives a feeling that you are confusing customers so that they may buy more. As a best practice, show the original price, show the discount price, and show how much savings they’ll get. With clarity, your customers are more likely to buy. Building a good relationship with customers is a key marketing strategy that brick-and-mortar stores understand. It is essential to provide post-sales customer service to ensure that all related customer needs are addressed, in the hope that they become loyal customers. This is also the reason why the customer service industry is so big – it is undeniably important. E-commerce businesses should then also ensure to provide customer service to their clients. Support services also play a key role in e-commerce. Make sure that you partner with credible fulfillment and courier services so that your customers receive their orders intact and on time. It would also be great if you can offer free shipping, so ensure that you put this into consideration when you choose a partner. The right balance of cost and service quality is in your hands, and your customers are expecting only the best from you. At first thought, physical stores do not seem to be capturing as much data as e-commerce businesses do. But the reality is, brick-and-mortar stores are getting a lot of information, and are making the most out of them. Sales personnel from physical stores can personally interact with customers, helping them address customer inquiries, and provide recommendations in real time based on the interests and preferences that the customers dictate. Throughout a single day, these interactions serve as lessons to the business, helping them come up with effective marketing and management strategies. E-commerce businesses, meanwhile, work with a lot of data. While no direct interactions are going on, the data says a lot. However, you will need to invest in tools that capture and interpret this data because otherwise, you’ll put this opportunity to waste. While brick-and-mortar stores can make it big locally because of actually being present there, e-commerce stores will find this challenging. However, having a strong local presence is important. Customers will feel more connected to businesses whose local presence can be felt. With this in mind, it’s important to spend effort in improving your local presence. Where possible, be active in local activities. Or have your local office or distribution center be featured in the local newspapers. Also, tap into local celebrities. Whatever strategy you have in mind, fostering a connection with localities you serve can make your business stand out from the competition. For traditional retail players, the appearance of their store is of paramount concern. Stores should be appealing and are even dressed up for the occasion. The same should be true for e-commerce businesses. But in the absence of an actual store, e-commerce business should treat their site as one. This should be a no-brainer, but there are lots of e-commerce sites that are not up for the job. So make sure that you do not make the same mistake. Design your e-commerce site well. And during significant celebrations, make sure that your online store is ready. Remember, your site is the only thing a customer interacts with so make sure that your site is worthy of earning sales. It is also crucial to ensure that the e-commerce site is secure. Brick-and-mortar stores have been there for the longest time, and the lessons you can get from them are priceless. To achieve success, make sure that you learn these lessons and that you do apply them. E-commerce is still an emerging industry, and to survive, it must learn from the lessons of the past. Published on July 31, 2018 by Juliette Anderson; modified on July 27, 2018. Filed under: e-commerce, online stores.